According to Vedic Astrology, Pearl is a Jyotish gemstone that is very useful in enhancing the powers of Moon. The planet Moon is also called as Chandrama amd it represents the manahsthiti i.e. the mind of the Kalpurush. A person who has the well placed Moon in the birth chart may be a balanced individual and among all nine planets, Moon is the fastest moving planet. Consequently, Moon gives the immediate result and are also felt by human beings and all the creatures at short intervals. Moon is the ruler of Cancer sign and when it is badly placed or under the influence of malefic give ailments like tuberculosis, depression, epilepsy blood pressure and phobias. The astrology gemstone of the Moon is pearl. Pearl is also called as Moti in Hindi. Pearl gemstone is not suitable for everyone. Here we are going to analyze the suitability of Pearl gemstones for the 12 ascendants from Aries to Pisces. 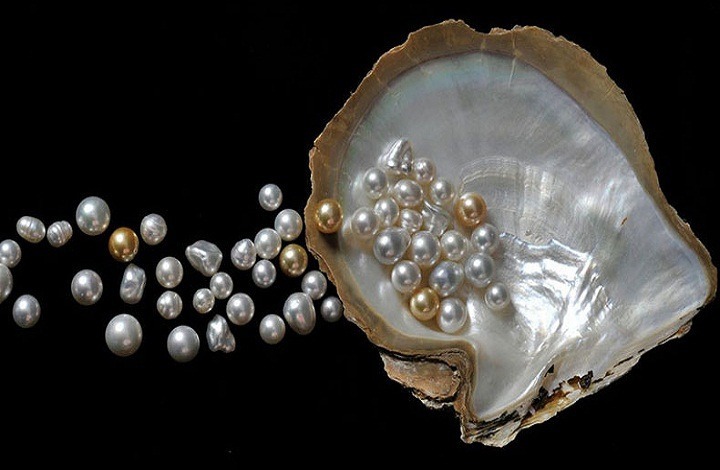 Pearl is a good gemstone for Aries ascendant as Moon rules over the 4th house of mother, pleasure and assets. Person who has Moon in the 2nd, 4th, 5th, and 9th house can wear pearl or moti. Pearl gemstone shouldn’t be worn by the Taurus ascendant unless Moon is in the ascendant. Moon is the owner of the second house of wealth. Pearl gemstone should be worn if Moon is placed in the 2nd house in its own sign or 10th house in Pisces, but only in the major period of Moon. In Cancer ascendant Moon is the ascendant Lord and is very auspicious. If Moon is placed in the ascendant, 9th house, 10th house, 11th house, 7th house then sure pearl should be worn. In these positions, Moon will bestow all comforts. Pearl gemstone should be worn if Moon is the 10th house. Moon is the lord of 11th and signifies profits. It should be worn in Moon’s Mahadasha. Moon is the Lord of the 10th quadrant of profession and if it is placed in the 3rd, 4th, 5th, 7th, 9th, 10th and 11th house, ten Pearl gemstone should be worn. Moon owns the 9th trine of fortune and is an auspicious planet for the Scorpio ascendant. Those who have Moon in the 2nd, 5th, 7th, 9th and 10th can wear Pearl stone. Pearl gemstone is not a suitable gemstone as it rules the 8th house, the house of losses and accidents. Pearl stone should only be worn in Moon mahadasha and if it is placed in the 5th house of higher knowledge i.e. in exaltation. Completely avoid Pearl gemstone unless Moon mahadasha has started and Moon is in the 4th house. Moon is an auspicious planet for the Pisces ascendant by being the lord of 5th trine of knowledge and diplomacy. If Moon is placed in the ascendant, 2nd,3rd,4th, 5th and 10th house, then one should wear Pearl stone. It should be worn on Monday in Pushya Nakshatra and other auspicious occasion for wearing Pearl gemstone is Rohini, Hastha and Shravana nakshatra. Pearl gemstone should be worn in the little finger.